Last night we got lots of rain – after going to Massa , where Roberta had a doctors app. She is now 28 weeks pregnant and looking radiant. We met her sister-in-law there as she is helping with Fabio away on the boat. We stopped in for a lovely meal on the way home and woke to blue skies again today. 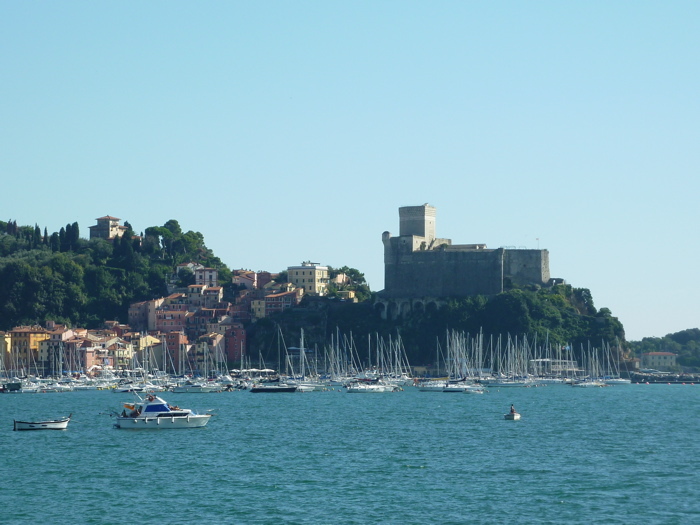 We went to the markets in Lerici and then took the boat across to Portovenere, the gateway to the Cinque Terre. Had a great walk around there – spotting my highlight of the day (see below). Went also to the cemetery overlooking the sea. What a place. Caught the bus to the next little town of La Grazie a quiet little bay with lots of boats. we had a quiet lunch , a delicious gelato – new flavours for me mela verde and melone! We’re going to Antonella’s for dinner with her husband and young son. They live in Carrara so we’ll be seeing some marble. HIGHLIGHT of the DAY: Seeing two weddings at Portovenere. One was very stylish with the guest dressed in gorgeous dress – navy being the latest fashion. Will post photos when I upload them. Hi – enjoying hearing about all you adventures and I love the photos. Aren't you fortunate to be having such gorgeous weather? 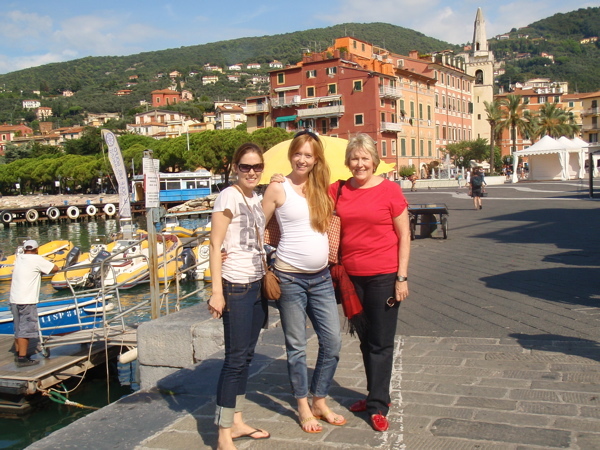 Looking forward to hearing about you tackling the Cinque Terre walk and hoping it's not too hot that day!